The Port of Esbjerg is one of the Nordic’s major intermodal hubs. Around 4.5 million tonnes of cargo pass through the port each year before being transported onwards by road, rail and sea. Additionally, the Port of Esbjerg is the leading RoRo port in Denmark. 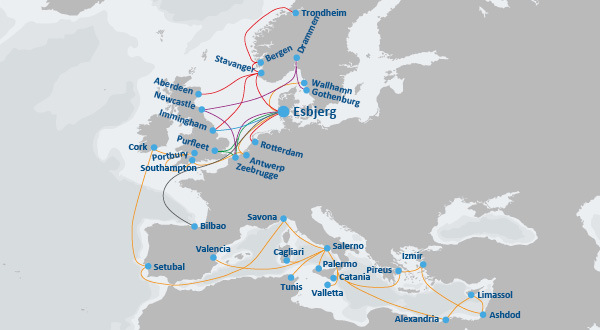 The port is connected to more than 25 ports in Northern Europe and on the Mediterranean Sea via six regular RoRo liner services. Furthermore, the Port of Esbjerg is Denmark’s leading port in terms of car imports. In 2017, more than 74,000 new cars were imported through the Port of Esbjerg.